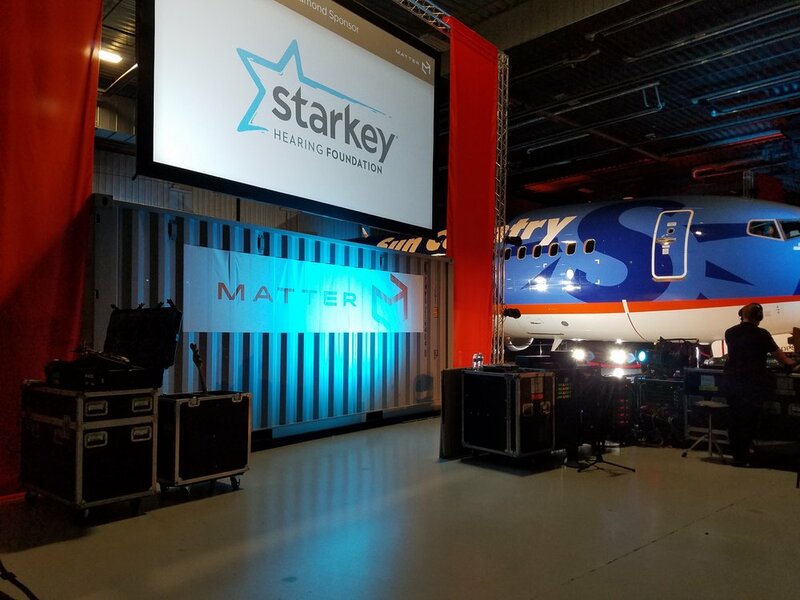 Super Cubes is proud to support Matter, a non-profit committed to the health of people both globally and within Minnesota. Matter's A Night to Matter is their annual gala and fundraiser for the organization. 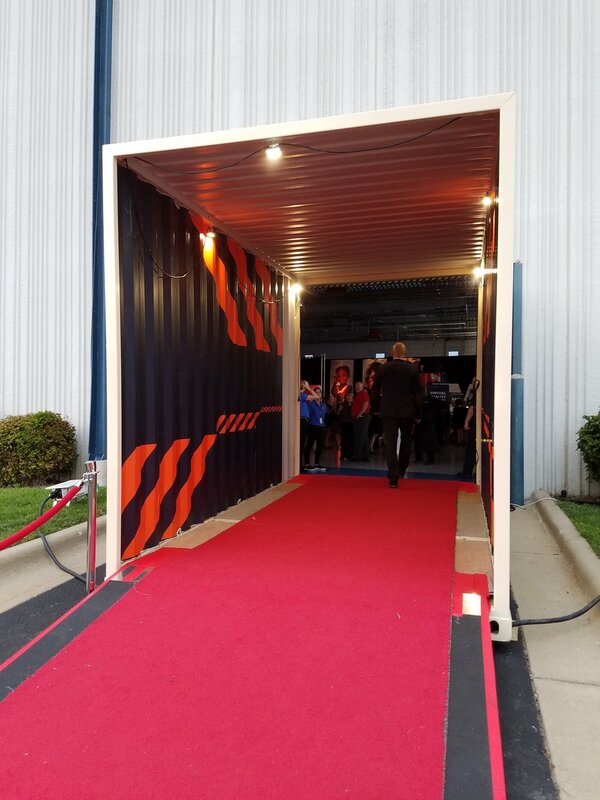 The gala was in Sun Country's cargo hangar and decorated with Super Cubes containers. 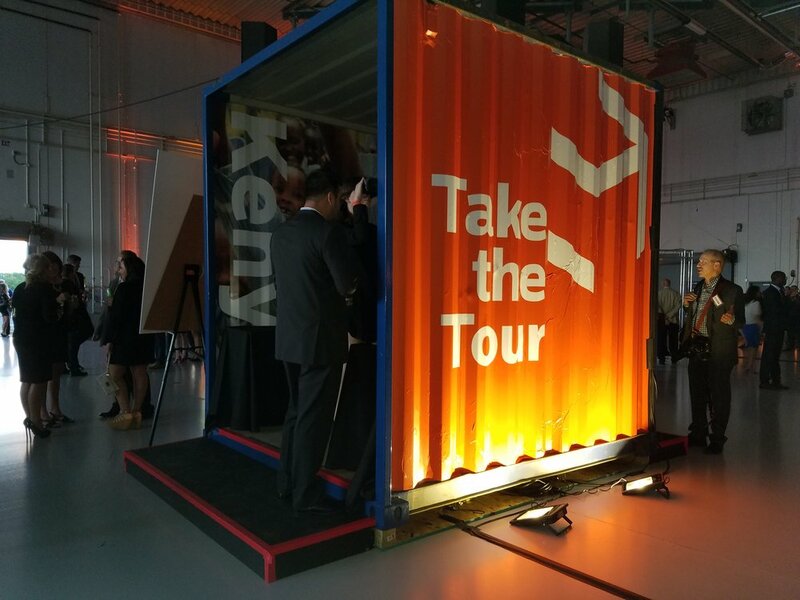 This virtual reality booth was made from a leftover "tube" of container. 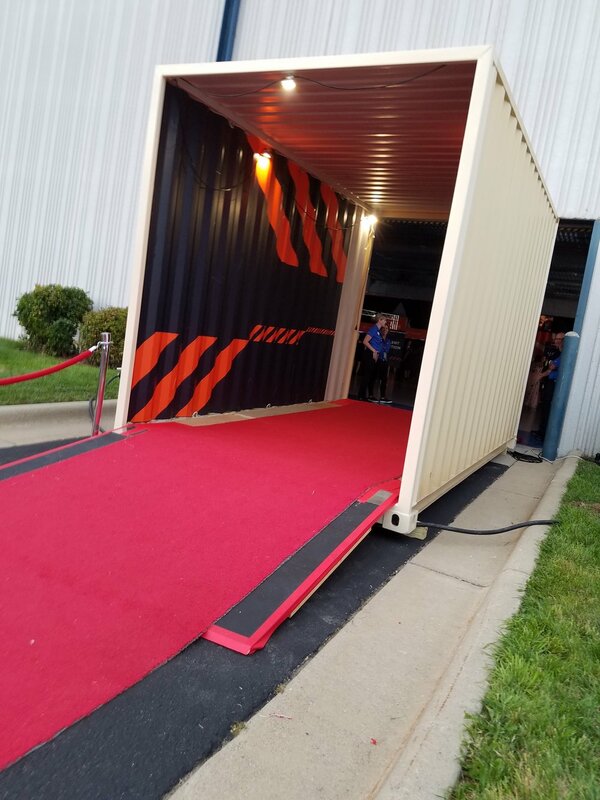 The venue was an exciting change for Super Cubes since we could finally bring in some containers to the event. In previous years we have all tried to figure out how to get them into hotel ballrooms. 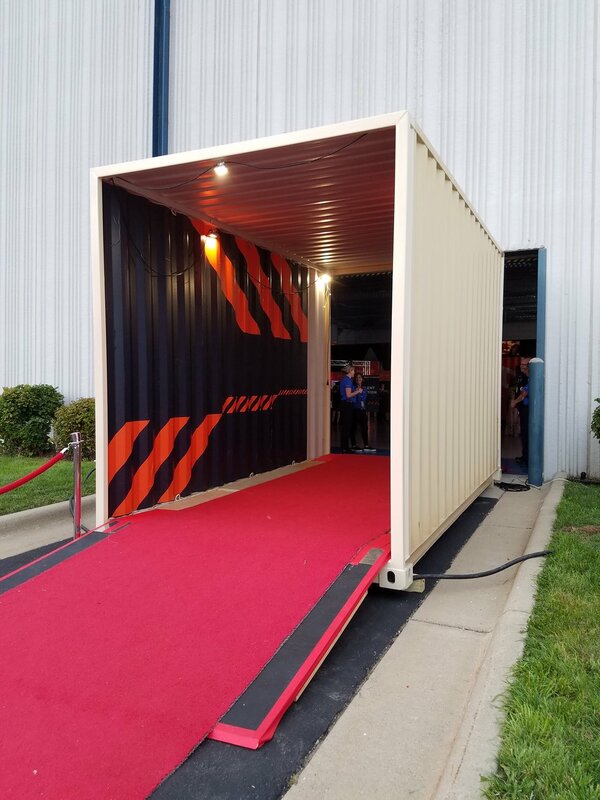 Instead, we were able to convert containers into an entryway to the event and house a virtual reality booth where attendees were able to get 360 views of some of the global projects that Matter worked on in the past year. Super Cubes brought in containers to help create a stage along with the front of a Sun Country airplane. The program featured their Gorgui Deing Project: Senegal, a project that is bringing food, agricultural equipment and healthcare to Senegal with the help of Minnesota Timberwolves Gorgui Deing, and their New DAWN Africa project, which built a hospital in Dandora, a slum outside of Nairobi, Kenya. Gene Simmons received Matter's Humanitarian Award for his commitment and involvement with Matter. Darius Rucker performed his solo work as well as some Hootie & the Blowfish favorites. The two smaller containers were actually leftover pieces of containers from a previous customer project. 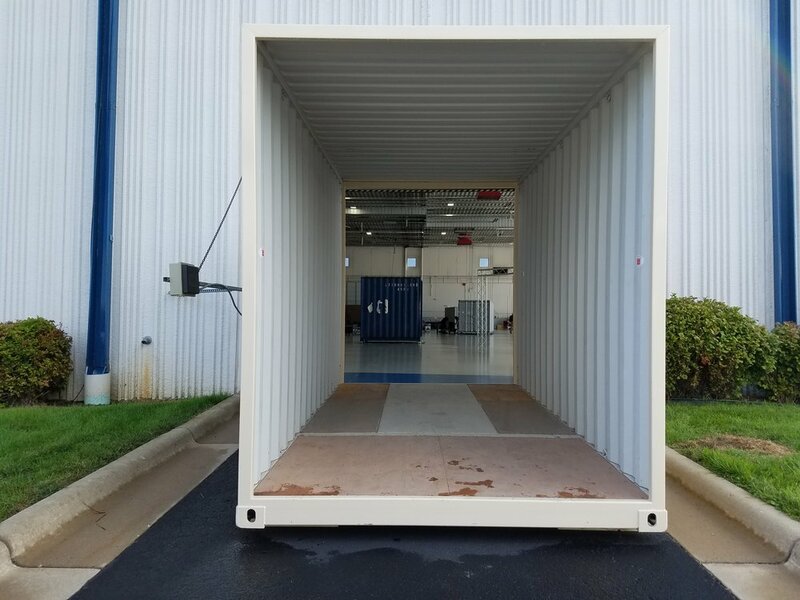 We had shortened some 40' high cube containers to be 25' and 28' high cubes. To do that, we cut off one end of the container, cut down the container, then reattach the end. 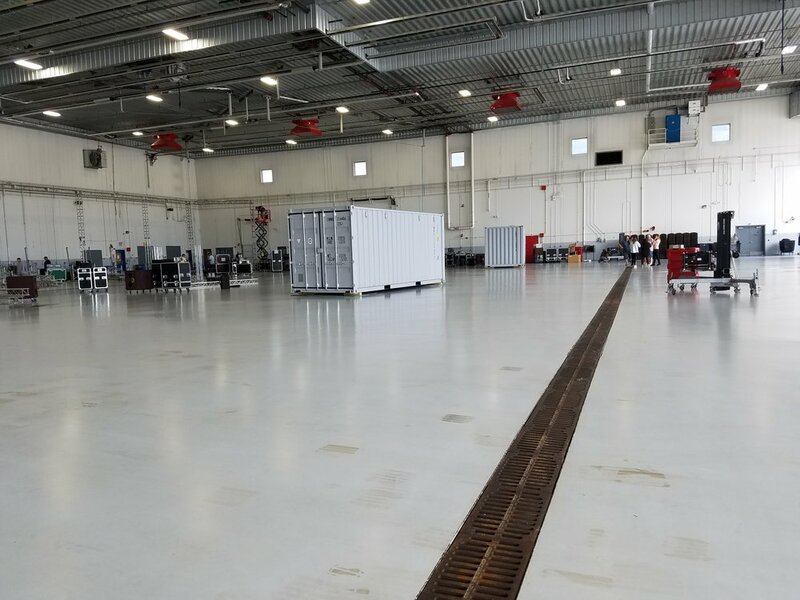 At the end of the project, we are left with a "tube" of container. We took those tubes, framed out the ends, put in corner castings to make moving them around easier and relaid the floors. Matter wrapped the containers in their marketing materials. 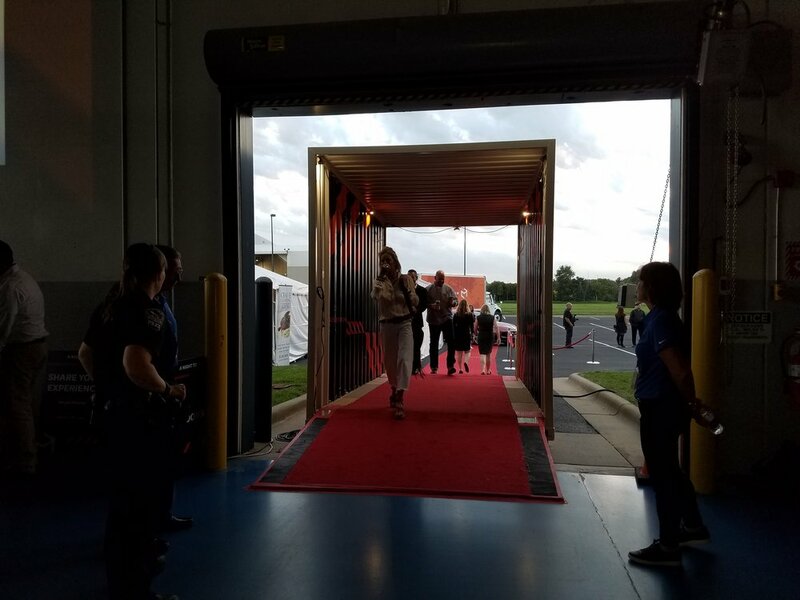 Here are some other pictures of the event. Virtual reality booth made from a container "tube"
The virtual reality booth at sunset. And a bonus - Darius Rucker singing. 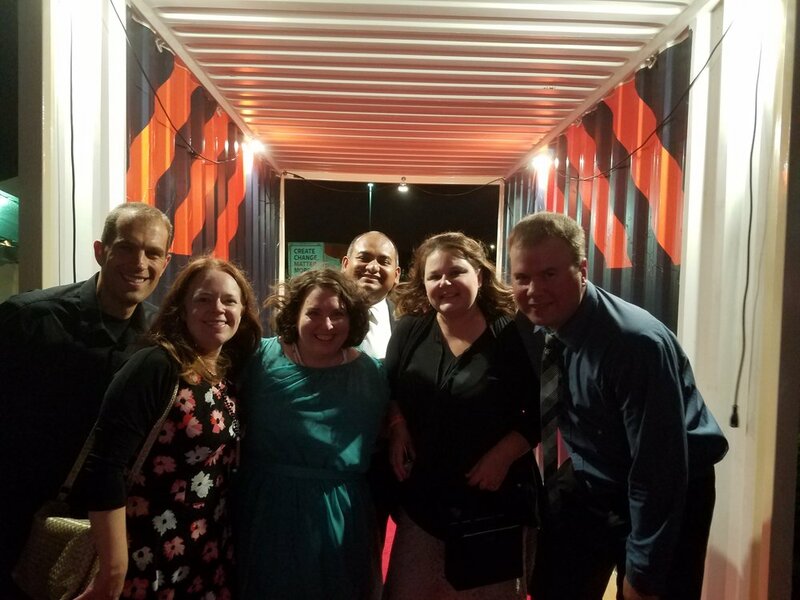 Here are some pictures of us bringing in the containers before the event.